For this survey of French presses, we selected a representative cross-section of widely available units from this popular brewer category. We tested one example for each of five key sub-categories: a classic model (Bodum Chambord), a budget-friendly option (Mr. Coffee Coffee Press), a high-tech addition to the market (KitchenAid Precision Press), a technically refined premium press (Espro Press), and a press for which aesthetics and brand identity are chief appeals (Le Creuset French Press). For each brewer, we took into consideration its quality of material and build and its look and feel. We paid particularly close attention to the propensity of the filter to allow potentially flavor-dampening silt to pass into the cup. We concentrated on how easy or difficult the unit was to clean, including the disassembly and reassembly of its filter system. And, given the critical importance of maintaining proper water temperature for brewing coffee, we conducted a series of tests on each brewer to measure heat-retention capabilities. These tests focused on measuring the rate at which hot water cooled over time inside the carafe, both with and without pre-heating, and at various volumes. We put particular weight on one test that we thought best exemplified a real-life situation, which involved pre-heating the pitcher by filling it to its maximum fill line with freshly boiled water and letting it stand for one minute, then dumping and refilling with 600 grams of water at a typical starting brewing temperature of 205 degrees Fahrenheit. We settled on 600 grams of water because that not only represented a weight/volume that all our test products could contain, but also because it represents just a bit more than one would need to brew two 10-ounce mugs of coffee, which is among the more common serving volumes needed in a household brewer. We wanted to test the same weight/volume in each device, given that different presses have varying maximum capacities and their rate of heat loss when filled to the maximum will differ. It is worth noting also that a longer pre-heat period and hotter brewing start-point all tend to improve heat-retention performance. However, we kept our pre-het brief, assuming that consumers will not want to waste too much time on the way to a cup of coffee, and that pouring water hotter than 205 degrees onto fresh-ground coffee risks over-extraction and a bitter cup. It’s also worth noting that all five French presses we reviewed are capable of producing perfectly drinkable cups of coffee. None is unusable or completely fails at its intended task. That said, there are very clear differences among the five devices, and our research was not without a couple of subtle surprises. We knew going into these reviews that the two designs with insulated steel carafes would perform better at maintaining an optimal temperature throughout the brewing cycle and would therefore likely be superior brewers all around. This proved to be true. Yet, while the Espro and the KitchenAid carafes are both constructed of insulated steel, it was surprising that the Espro performed better than the KitchenAid in our heat-retention test, probably owing to the Espro’s taller, narrower carafe design. Nevertheless, we were impressed not only by the KitchenAid’s digital add-ons that facilitate precise, weight-based brewing, but also by its robust and meticulous construction. However, the Espro’s double-filter design and optional paper filter, coupled with its elegant profile and similarly robust construction, pushed it to the highest rating among the five French press models we tested. Meanwhile, we had high hopes for Le Creuset, given the impressive quality of other products from that brand. We were especially curious how well its attractive stoneware carafe would perform. We were disappointed to discover, however, that the robust-looking stoneware does not retain heat well during brewing. Add to poor heat retention a wobbly lid and middling-quality filter, and we were left with a fine looking but technically limited brewing device. True, the $70 Le Creuset was a bit more pleasurable to use than the Mr. Coffee press pot we bought at a local outlet for $10 — the bargain underdog of our chosen five that sadly did not rise above our admittedly low expectations. The Bodum Chambord is the classic among the five reviewed brewers: a design unchanged after generations on the market, with nary a bell nor a whistle added over the decades. Yet it proved itself a trusty brewing tool, worthy of admiration for its time-honored design, accessible price and traditional, hearty cup. The Espro Press entered the market about five years ago with the distinction of having been the focus of one of the earliest successful coffee-related Kickstarter campaigns. When the crowd-funding platform itself was less than three years old, the Espro project raised over 550 percent of its $15,000 goal, then actually shipped its promised product to backers only three months later. So, not only did the company pitch, design and manufacture a superlative product, but its fundraising efforts and follow-through were also exemplary. Indeed, this press pot is in a league of its own. The carafe of the Espro Press is faultless in build and performance and impressive in appearance. Fabricated entirely in polished steel, its commanding, elongated form is further emphasized by a long handle that gracefully curves almost from the top of the carafe to the bottom. The weight of the carafe in hand imparts a reassuring sense of sturdiness and potential longevity. And that steel isn’t just for looks. The combination of double walls and a relatively tall, narrow carafe adds up to the best heat-retention of five French presses we tested, keeping the contents safely within the Specialty Coffee Association (SCA) recommended range of 195 to 205 degrees Fahrenheit for the duration of a typical French press brew cycle. When 600 grams of 205-degree water was added to the carafe following a one-minute preheat with freshly boiled water, the temperature dropped to 199 degrees within 30 seconds, losing only another six degrees over the course of five minutes. No other press performed as well in our tests. Espro’s marque innovation, the patent-pending micromesh double filter, works exceptionally well on its own, reducing the amount of silt in the cup to a wisp, unlikely to provoke a complaint even from a pour-over paper-filter devotee. Additionally, the Espro offers the option of sandwiching a custom paper filter between its dual layers of micro-mesh, thus combining the appeal of both pour-over and French press, and potentially netting a cup with the richly blended flavor and sweetness associated with full-immersion brewing, yet with the lighter mouthfeel and more delicate, articulated aromatics associated with filter-drip brewing. A thoroughly high-quality cup is further ensured by the very effective double filter-gaskets on the outer edge of the filters that segregate not only the grinds but also an ounce or two of brewed coffee at the bottom of the carafe. If you really love your coffee, you may feel you want it all, but this little pool of withheld brew is the byproduct of an intentional design focused on producing a consistently bitterness-free cup, unmixed with any coffee that has tended to over-extract by remaining in contact with coffee grounds at the bottom of the carafe after the plunge. This retained bit of liquid does make for a slightly gloppier clean-up, though, unless further effort is applied to strain the grounds before scooping them out into a kitchen compost bin. Another very slight hitch comes upon rinsing the cup-shaped interlocking components comprising the double filter system. There are a lot of tiny corners in the eight rectangular windows of mesh that make up each of the two filters, and because the micromesh is so effective, a residue of fines may cling stubbornly to the corners of the inner filter. It takes a bit of focus with a sponge to get every nook fully clean, and the plastic-and-mesh filter components feel fragile enough to suggest that extra care should be taken in this process. Espro sells replacement filters for $18.95, should a corner spring a leak. At the end of the day, however, all French presses are a bit finicky come clean-up time. The Espro filter at least rewards any added effort with outstanding performance. The Bottom Line: Quality comes at a price, and we would argue that a mild splurge on an Espro Press is well worth it. A niggling issue or two around cleaning the brewer keeps it from scoring even higher, though its heat-retention, its subtly elegant design and its nearly silt-free cup bring the Espro Press closer to perfection than any other press pot we tested. With its built-in scale and timer, the KitchenAid Precision Press takes a major stride forward in French-press brewing by encouraging weight-based precision and a close monitoring of brew time, making a better cup easier to achieve and, above all, easier to repeat once you’ve struck upon a recipe that best suits your particular taste and coffee. The Precision Press not only provides functional built-in extras, but also aims at improving the basic mechanics of the format. The lid, rod, and filter assembly, for example — key features not just in the brewing process but also during cleanup, when lackluster construction can make the experience more of chore than it needs to be — are all of exceptional quality and perform very well. Compared to similar components of competing French presses, the KitchenAid parts are a pleasure to handle for their solid materials and accurate construction. Each component fits securely in its place and disassembles swiftly, including the rubber gasket, which comes off and on with ease, yet still provides a tight seal around the edges of the filter, keeping larger grind particles below, where they belong. The insulated carafe retains heat very well, certainly well enough to maintain an optimum brewing temperature through the most important phases of brewing. In our tests, we pre-heated the carafe by filling it to the maximum fill line with water fresh off the boil and let it stand for one minute, then immediately refilled it with 600 grams of water at 205 degrees Fahrenheit. Within 30 seconds the brew-temperature refill of water dropped to about 197 degrees. But by the end of five minutes, it tended to drop only another 5 degrees, which indicates an admirable level of insulation — the second-best heat-retention performance among the French presses we’ve tested. The electronics are a bit less impressive, though they do get the job done, and it’s a job no other French press can do on its own. The timer counts upwards in seconds and minutes, and the scale measures weight by the gram and includes a tare feature. Displaying weight down to the tenth of a gram would be better, and better still would be a timer capable of counting down and sounding an alarm when the optimum brew-time has been reached. Stopping the brew at the right moment by pressing down the plunger is essential in French-press brewing. It’s all too easy to get distracted with breakfast or almost anything else over the course of four long minutes. Standalone timers typically have a countdown feature, which is useful precisely for a purpose such as this. The three buttons at the top of the handle, which control power on/off, timer start/stop/clear, and taring the scale to zero, are also somewhat sensitive and positioned close together. It requires care to avoid accidentally turning something on while handling the press, particularly during cleaning. This is about as minor as nuisances come, though it can cause undue battery drain. Those issues aside, the all-in-one nature of the Precision Press remains a simple and effective means of introducing precision-brewing concepts to anyone who wants to up their hand-brewing game without an additional surge in countertop clutter. Furthermore, the handling of the electronics in regard to design is impressive: There is no visible suggestion of a scale either on the inside or outside of the carafe (it’s built into the base). Yet, all this tidiness comes at a rather high price. Shoppers could easily find another insulated steel press pot complete with a rubber filter gasket, then buy a decent (if not higher-precision) scale and a timer separately, and still come away with enough leftover cash for a couple of bags of fresh, locally roasted beans. Furthermore, users predisposed to this level of precision will probably already have a scale and timer on hand. But as an icebreaker for the clutter-averse newcomer to coffee geekery who’s more inclined to make the most of onboard features than to fiddle with multiple different devices in concert, the Precision Press is an excellent way to go. The Bottom Line: The KitchenAid Precision Press is a bit pricy, but its build quality, performance and clever feature set may justify its cost. It’s an excellent choice, particularly if you can find it on sale. The Bodum Chambord is the predecessor of all French presses — the quintessential design patented over half a century ago that, to this day, not only gets the job done, but also does so with an admirable economy of grace and style. The Chambord is enjoyable not only for its visually impressive juxtaposition of transparent glass and gleaming chromed steel, but also for its combination of performance and affordability. In nearly all respects, it represents a happy medium: Its sturdy glass carafe, while not as durable, insulated or expensive as dual-walled stainless steel, retains heat reasonably well and provides a lovely view of the brewing process. The components of its filter assembly are manufactured solidly enough to allow easy disassembly and reassembly while cleaning. Its mesh filter is not the finest on the market, and its coiled metal gasket is an outdated design compared to the tighter-fitting silicon or rubber gaskets in more costly press pots. Nevertheless, the silt the Chambord filter lets pass into the cup is no more pervasive than average, and can be mitigated, to some extent, with careful technique and a quality grinder. But now to heat retention. In our tests, when 600 grams of water at 205 degrees Fahrenheit were poured into the carafe following a one-minute preheat with freshly boiled water, the temperature dropped to 197 degrees within 30 seconds, which is comparable to the initial drop of an insulated steel carafe and keeps the contents within the SCA-recommended brewing range of 195-205 degrees. However, the contents then tended to lose another 17 degrees over the following five minutes of brew-time, which is a rather steep decline. Therein resides the inherent tradeoff with glass. Glass is beautiful and inexpensive, but it’s simply not as effective as double-walled steel when it comes to maintaining a hot, steady brewing temperature, a critical concern when seeking excellence in French-press brewing. On the other hand, an argument could be made that, because the French press method is classic, and because glass is the classic material for the carafe, then a traditional cup prepared by this method ought to be brewed with a steeply declining temperature profile. Staunch traditionalists may therefore prefer the Chambord cup as it is, while contemporary perfectionists can always choose to spend more on a brewer with a better-insulated carafe to meet today’s more exacting standards for brewing consistency and control. The Bodum Chambord’s straightforward elegance has withstood the test of time. It is a café-quality brewer capable of producing a café-quality cup, although an aficionado may find its glass carafe less effective at retaining heat and less sturdy than metal designs. Nevertheless, for the budget-minded yet discerning manual-brewing devotee, the Chambord is a golden oldie that still deserves our respect. Do good looks and a famous brand add up to great coffee? Le Creuset has made a name for itself over decades of producing high-quality kitchenware for cooking, baking and serving. This reputation for quality stems particularly from Le Creuset’s long lasting, brightly colored, enameled cast-iron and ceramic pots and pans. Le Creuset product lines are extensive, providing brand loyalists the opportunity to outfit entire kitchens with matching Le Creuset wares, down to mugs, trivets, food thermometers and over a dozen different Le Creuset-branded wine-openers. Le Creuset’s Stoneware French Press fits right into this line-up. But has the brand jumped the shark? Deciding whether or not this French press truly earns its place in a kitchen equipped with the company’s skillets or Dutch ovens depends, to some extent, on what one’s goals are in owning such a piece. If beauty is the most important thing, either independently or to reinforce a look, then there may be no substitute for a genuine Le Creuset French press. Yet if a dedicated home chef invests in quality Le Creuset cookware less for the look and more for the pleasure of using well-made tools, then this French press may not live up to expectation. While the brewer is beautiful and hefty, the filter assembly on the inside of the press — a key component in the performance of the brewer — is of no greater quality than offered by substantially cheaper products. The metals are thin and the design is standard; the mesh of its filter is no finer than average and allows a typical amount of silt to pass through it and remain in the cup. Though it’s not remarkably worse than many of its competitors, it’s also not better, betraying the stature of the brand. What takes Le Creuset’s press down another quality notch is the lid design. Most French presses have a sort of sleeve extending from the bottom of the lid that nests snugly inside the top of the carafe, helping to hold the lid reliably in­ place, so that pouring the coffee can be a one-handed operation. Le Creuset has no such sleeve or nesting device. Its ceramic lid simply rests on top of the carafe with nothing to hold it steady apart from the rod that connects to the filter. This certainly helps creates a simpler, more elegant look, but at a pouring angle, with the filter resting on the layer of grounds at the bottom of the carafe, the lid wobbles loosely and may even tip out of the carafe unless a user holds it in place with a free hand. A two-handed pour is not ideal when leaning over a table to serve guests. All of this would be more forgivable if the unique stoneware carafe exhibited better-than-average heat retention. Alas, it does not. In fact, it was the poorest performer of the five French-press brewers in our heat-retention tests. The contents of the carafe dropped well below the Specialty Coffee Association (SCA) recommended brewing temperature range within 30 seconds of receiving 600 grams of water at 205 degrees Fahrenheit, then dropped another 14 or 15 degrees over the following five minutes. Our standard test included a one-minute preheat with freshly boiled water, and, to be charitable to the stoneware, we also tested it with a three-minute preheat to see if perhaps the stoneware simply needed longer to soak up the heat. The results were virtually the same, however, thus confirming that, as the stoneware does not contribute to improved brewing performance, its employment here is purely for aesthetic and branding reasons. 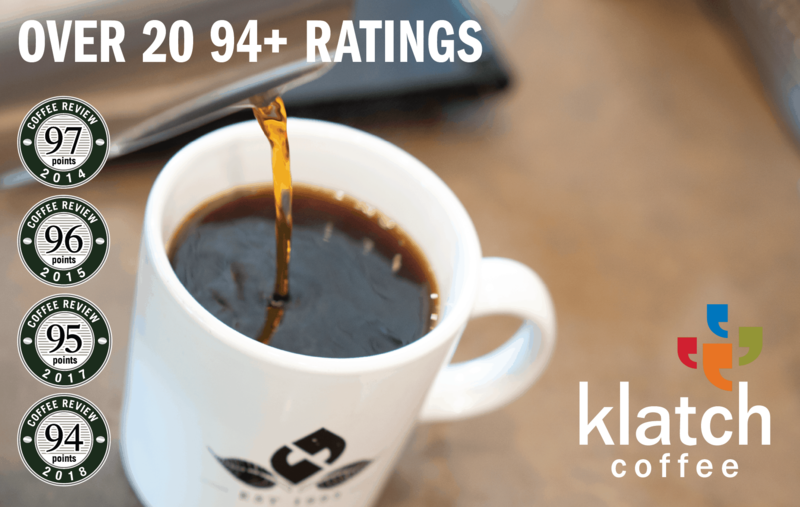 For those who prefer darker roasts or who are switching to a French press directly from a low-performance automatic drip coffee machine, a low brewing temperature may not produce noticeably disappointing results. However, sub-optimum brew temperatures definitely will not bring out the best in dense-bean, high-grown, freshly light- or medium-roasted coffees. And some lower-priced French presses offer better insulation and heat retention, as well as a better-performing filter and a less wobbly lid. It livens up a countertop with its contour and its color, and it certainly looks serious alongside saucepans and casseroles whose excellent performance depends on few moving parts. Yet coffee-lovers expecting Le Creuset’s Stoneware French Press to brew coffee as effectively as its signature pans sauté meats and vegetables may be disappointed. Mr. Coffee, of course, is better known for its automatic drip coffee machines than for its manual brewing devices. Were it not for the fact that a branded French press is practically a compulsory addition to the catalog of any housewares brand that dabbles in gear for warm drinks, it would be a surprise that Mr. Coffee, the company that revolutionized the coffee industry with the original auto-drip home coffee machine in 1972, would issue a French press at all. It’s less surprising to note that Mr. Coffee also, for a time, sold an electric French press. What’s not surprising is that, as the company today seems to hang its hat on inexpensive appliances for the budget-minded shopper, the construction of its low-cost press pot is not the best. Which raises the question: For a method as straightforward as French-press brewing, how fancy does the equipment really need to be? A French press only needs to accomplish two things, after all: hold hot water and filter out the grounds. The Mr. Coffee Coffee Press proves that, to some degree, a workable French press can be had for a very modest investment. In our tests, the Mr. Coffee carafe’s heat retention proved to be on par with that of the glass carafe of the well-respected and higher-priced Bodum Chambord. In fact, it performed slightly better in some respects. After the carafe was preheated for a minute with freshly boiled water, 600 grams of 205-degree-Fahrenheit fresh water added to the Mr. Coffee dropped, on average, to 199 degrees within the first 30 seconds, a better performance than the Chambord by about two degrees. 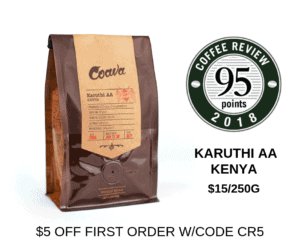 By the end of five total minutes, the temperature descended another 16 degrees, a rate of decline that positions the Mr. Coffee squarely in the middle of the pack among the five presses we tested. While this performance is commendable, trouble sets in with the filter. The mesh of the Mr. Coffee filter system is visibly wider than the mesh in other press pots, allowing more than the average amount of silt to pass into the cup. An abundance of particulate mixed into the finished brew can produce bitterness at worst, simple muddling of flavors at best. True, cup clarity and flavor articulation were never virtues of a characteristic French-press brew. Nevertheless, coffee drinkers who love a full-bodied brew but are wary of too muddy a cup might consider seeking a press pot with a more effective filter. The base-plate of the filter system is also of noticeably low quality, constructed of thin, slightly warped metal with channels pressed into it. The threading at the bottom of the rod is imprecise, causing an occasional challenge in getting it started back into the filter base. And the cylindrical nut at the bottom of the rod that keeps the three plates of the filter assembly sandwiched tightly together and attached to the rod is especially poorly designed and constructed. Higher-quality press pots have this nut either permanently installed at end of the rod or otherwise prevented from sliding upward on the rod, yet on the Mr. Coffee assembly, the nut winds freely up or down. A user must thread the rod into the filter base, and then thread the loose nut down just so, finding exactly the right combination of tightening to secure the filter, a fussy, annoying procedure. In the course of one busy morning cleanup, I had to abandon a partially assembled filter system in frustration in order to get on with my day. This kind of experience can lead a user to avoid thoroughly cleaning the filter on a regular basis, which is particularly bad news given the mysterious grooves in the base plate. Furthermore, the glass is slightly hazy even at its cleanest, is not dishwasher safe, and there are so many warnings about its breakability (on the box, on the glass itself and in the instruction pamphlet) that one has to wonder just how many uses or cleanings it can withstand, even with the gentlest of handling. Well, yes, one gets what one pays for. I paid only 10 dollars for my unit. Does anyone really need to drop more than a sawbuck on a French press to make a basically drinkable cup? For patient cleaners and those who don’t mind a murky cup, perhaps not. But for anyone else, given there are so many other options available at an only slightly higher price, it will pay to shop around. The Bottom Line: Fundamentally, the Mr. Coffee Coffee Press is capable of brewing a decent, albeit muddy cup, fulfilling its purpose at the most basic level. Yet, although its low price is its most compelling feature, we’d recommend spending a few bucks more for press pot that offers a better filter, easier cleanup and brighter-looking glass. Howard Bryman is a Portland, Oregon-based freelance journalist who focuses on the specialty coffee industry, which he has either worked in or written about for the past 10 years. He is the associate editor of Roast Magazine's Daily Coffee News website, and an occasional contributor to the print magazine as well. With experience as a barista, manager, roaster's apprentice, origin tourist and equipment tinkerer, Bryman's fascination with specialty coffee's tools, trends and challenges is matched only by his enthusiasm for the beverage itself.